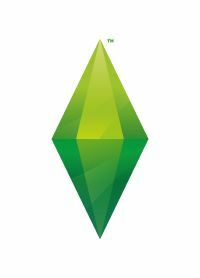 To check if the game recognizes your card, open the file documents\electronicarts\thesims3\DeviceConfig.log or documents\electronicarts\thesims4\Config.log with any text editor. Important is the Found behind your graphics card. If it says Found: 0, then your card is not properly recognized. If you have a Nvidia Graphics card you can try to start the game through the Nvidia Experience instead of the solutions below. Please make sure to backup your original files. You will need to replace them with the originals before you patch or install an EP and then re-add your changes to the new file. Check if EA has added your card themselves before doing so. Make a copy of the GraphicCards.orig file to your desktop from wherever you stored it. Make a copy of the GraphicsRules.orig file to your desktop from wherever you stored it. Patch the game and/or install the EP. Depending on the type of graphics card you want your system to use, the approach is slightly different. 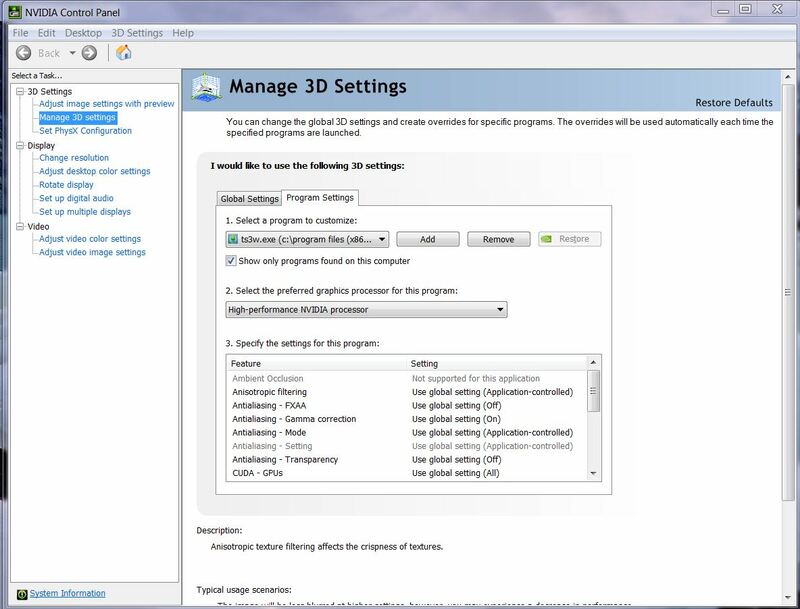 Click on Manage 3D settings. Click on the Program Settings tab if its not already selected. Step 2: Select High-Performance Nvidia Processor. Right-click and choose Configure switchable graphics. A window opens that will allow you to choose that card for whatever programs you want. The next time you run the game, a pop up should open and let you designate the better graphics card for the game.